Apparently this came out sometime back in 2009 but somehow I missed it. 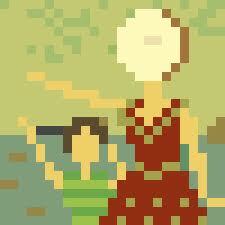 “In The Aeroplane Over The Bleep” is an 8-bit/chiptune version of the seminal indie classic “In The Aeroplane Over The Sea“. I had a little trouble finding anything out about the makers of the song but I hope they come out with more. It’s really well done. Beautiful even.